One of my favourite ways of decorating a cover is with relief patterns. It’s very easy, really. You can either cut out the design in thin cardboard (or heavy paper) and paste it on before covering the boards, or you cut it out in the board itself and peel away as many layers of the cardboard as you want (make sure you don’t go all the way through, though, that would be embarrassing . Or a combination of the two, of course. For letters and suchlike, you can also use thread. I recommend using thinner thread than you think you will need, or it might get too bulky. Then there’s a secret trick to make it a lot easier and better looking. Because when you’ve put on the cover materials (don’t use too thick book cloth, and remember that if the pasted-on relief design is in another colour then the board itself, it might be visible through light cover materials… my, this was a long parenthesis, I almost lost track of where I… anyway. ), the design is of course going to dissappear completely, and you have to track the edges carefully with a bone folder (if the cover material is delicate, put a paper between it and the bone folder to avoid scratches), and trust me, sometimes it’s very hard to find the design. Even though you just made it yourself. So, after that confusing paragraph… there is a trick to make this easier. Take a piece of sleeping pad, or some other kind of not-to-fluffy foam material. Put it over the covered relief, and put in the press for a short while (about ten seconds will do it). The foam will press down the design, making it much easier for you to just trace the contours. 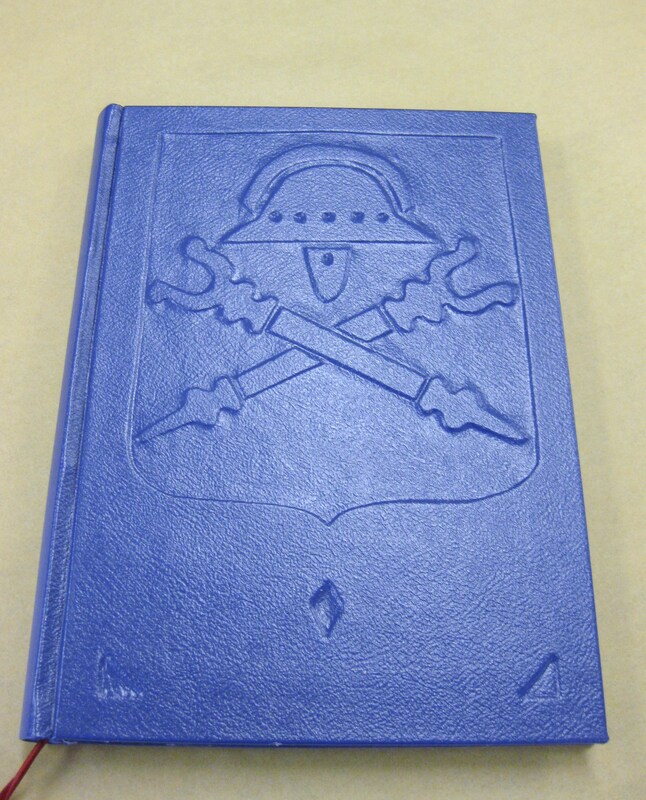 You can also use the foam when you put the finished book in press, to protect the relief.